It never ceases to amaze me how many barbaric practices are committed on factory farms. We have male baby chickens that are being ground up alive. Baby pigs have their heads smashed against pavement to kill them. Calves are kept in solitary confinement and taken away from their mother’s shortly after birth. Mother pigs live in tiny prisons called gestation crates. Pigs are boiled alive before being slaughtered. Poultry are also boiled alive and have their throats slit while fully conscious. If these realities horrify you = they should! I encourage everyone to take a deep look at what is on their plate and to do some research into what goes on before you eat it. When I was a child I never wanted to eat meat. Now I know why. We need to out law all these factory farming practices. What kind of species are we if we can sit back and let this go on? What are your thoughts on these common factory farming practices? How can we stop this? I became vegetarian in the early 1980’s after learning about these things. ICCN Virunga Ranger Jules Kombi Kambale was killed in action on Thursday, 1 September, in a militant attack at Gatovu. The ranger team was tracking gorillas, which have been the increased focus of militants in the area. He and his ranger team were tracking gorillas which were being protected from poachers. He left behind his wife who is five months pregnant. I include this tragic news on my blog this evening to remember those that we may never meet or hear about, but they are out in the world protecting people or animals. In this case, we have a young man who gave his life in service to protecting gorillas and other wildlife in Rawanda. When I think about the way we have bull dozed our way over our native wildlife habitat and then kill them to build our homes – I feel such anger and sorrow. Let’s treat all animals like they are worth protecting. While many of us have comfortable homes – we forget we are living, working and driving on what was once the sacred ground of other species. So tonight let’s honor ICCN Virunga Ranger Jules Kombi Kambale – who most of us would never have heard of without social media such as Facebook which is circulating memorials to him in honor of his service to wildife protection. He died young and died in service to our imperiled African Wildlife. 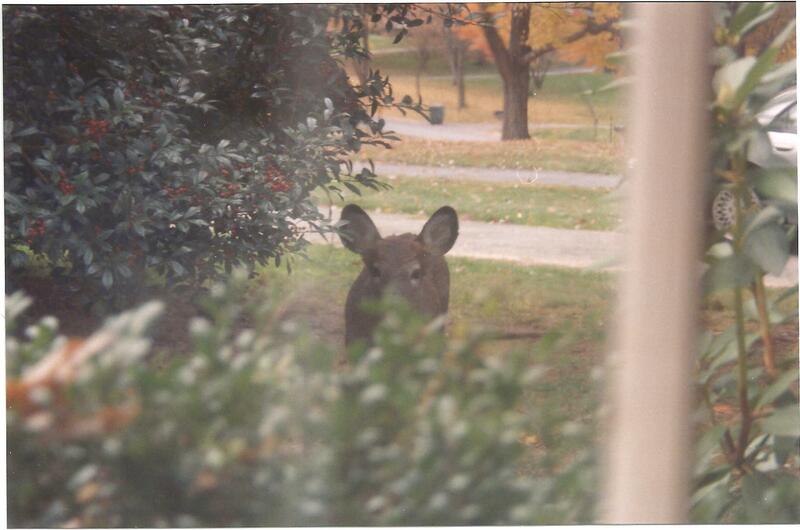 Starting in the 1990’s – intense anger and calls for killing deer echoed throughout the Washington, DC suburbs. I never understood all the anger and harshness towards the deer – for all they suffer at our hands – we should be apologizing to them. As forests and meadows were replaced with housing developments and strip malls, deer and other wildlife had their habitats destroyed and replaced with pavement and houses. People no longer saw the sacredness in the deer – now all they could do is rage at them for eating in their gardens. Well their gardens are planted where there was once free roaming land and wildlife corridors. Deer and other animals were forced to live among suburban houses and busy roads. I hear spirit telling me that we hold no accountability for how we drive and leave animals to suffer and die on our roads. How did we come up with this idea that we can just speed along, hit animals and leave them to die…as though they are a piece of trash? This is one of the most over looked tragedies of our modern world. The way we are so apathetic to the remains of animals hit on the roads is way to de-sensitized. I say this all the time – but simply SLOWING down and making a point to avoid hitting wildlife is the key to this. Killing massive amounts of deer in order to control their populations is not the key to stopping deer – auto collisions. Quite the opposite is true. We need to drive with responsibility and accountability – by slowing down and making it a priority to avoid hitting wildlife. We live in the era of technology and distractions. Whenever I hear people complaining about deer in their neighborhood – I am quick to remind them that the deer have something to teach them. What Can We Do To Create A More Balanced, HUMANE World? I believe that one of the most important things that we can do to create a greener more humane world is to develop land and build in far more harmony with the earth and wildlife. Over the last several decades the emphasis has been on high density development and developers and city planners rarely leave any green space and forest for deer and many other species of wildlife. 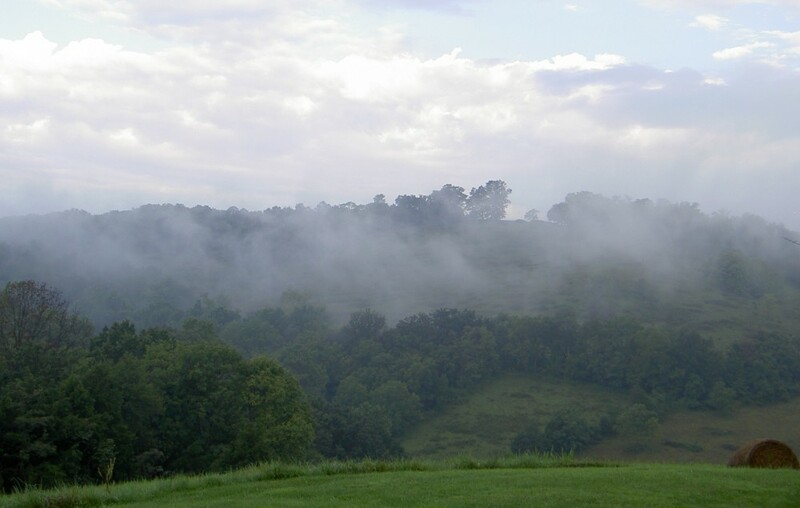 In the area I grew up in, Montgomery County Maryland, I have seen forests, meadows and green spaces be systematically paved over for houses, shopping centers and highways. The deer and other creatures were driven to try and live in fragmented habitat that leaves them among the suburban houses. Then the intolerant people who now live in fancy houses on the animals habitat complain and often have no compassion or insight into the fact that they are living where the animals once roamed and fed. The amount of ignorance about nature and wildlife is growing as people live with nothing but electronics, apps, I-Phones and Plasma TV’s. What do they know about the creatures and what the creatures are trying to show them? I have seen the violence and anger at the deer escalate to intense degrees. And mass killing of deer is used as a failed attempt at restoring our forests and green spaces. At all levels of government we need to have some type of governing laws that say “let’s keep half this area in a natural state – and leave forest and green areas for the wildlife”. But that rarely happens and the imbalance that grow as the result of this type of “let’s shove as much development as we can into this space” leaves little to the imagination and leaves the animals with severely fragmented habitat – if any habitat. In the next post – we will look at more ways we can save green space for people and wildlife. In my continuing discussion of the importance of compassionate and safe driving ,we are going to look at “taking responsibility” when driving. I continue to be shocked and dismayed at the flagrant abuse of cell phone, texting and general distractions that people have when driving. Just today a good friend of mine posted on her Facebook Page that she had almost been hit yesterday by a man driving a pick up truck and speeding through a red light. She was almost broadsided by him and was saved by seeing him at the last minute. Focusing and avoiding distractions is the best way to keep your eyes on the road and avoid hitting wildlife. On a drive up Route 29 in Madison County Virginia yesterday, I was horrified to see many deer hit on the side of the road. Who knows how long they laid there dying on the hot summer pavement. One deer had a piece of metal, maybe a car side view mirror jarred right into his skull. The spiritual message that I get is that we need to have accountability when we hit animals or people. This idea that we can hit and run other sentient beings is sick and making for no ethics in driving. Where did we ever get this idea that if we hit an animal, we can just keep going and be so apathetic? I think the issue of animal deaths on the roads is one of the most under estimated issues in our personal ethics of driving. Just slowing down and taking the time to focus and intend to avoid hitting animals is a highly effective way of reducing animal and of course human fatalities on the road.